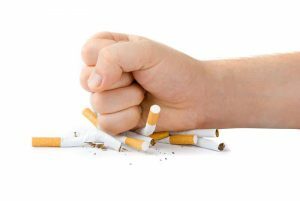 The Algonquin FHT offers smoking cessation counseling for people who want assistance to help them reduce or quit smoking. We also offer a free nicotine replacement therapy (NRT) clinic –providing free patches, gum, lozenges and inhalers, along with smoking cessation counseling for up to 26 weeks for people who want to reduce or quit smoking. Individuals who are seeking assistance to help them reduce or quit smoking can refer themselves or their doctor/nurse practitioner can refer them for smoking cessation counseling. Referral to the nicotine replacement therapy (NRT) clinic requires a referral from your doctor or nurse practitioner. There is no fee charged for these services, however the hospital charges a $5.00 parking fee at the Howland Building, payable by cash (loonies & toonies) only. The Respiratory Health Program is based on the Canadian Respiratory Guidelines and the CAN-ADAPTT Canadian Smoking Cessation Guideline.